While the state's bigger names tend to grab the headlines with their exploits, South Australia has seen a large number of smaller operations come to life in the past couple of years. Among them is the Ministry of Beer. 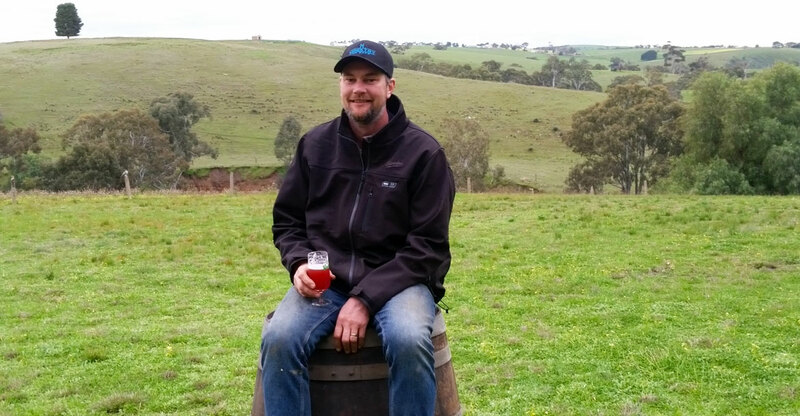 The Barossa Valley brewery was launched by homebrewer Brett Reimann after he realised his home setup – 200 litre brewhouse and 400 litre fermenters – had reached a scale where he couldn't possibly consume all of the beer himself. 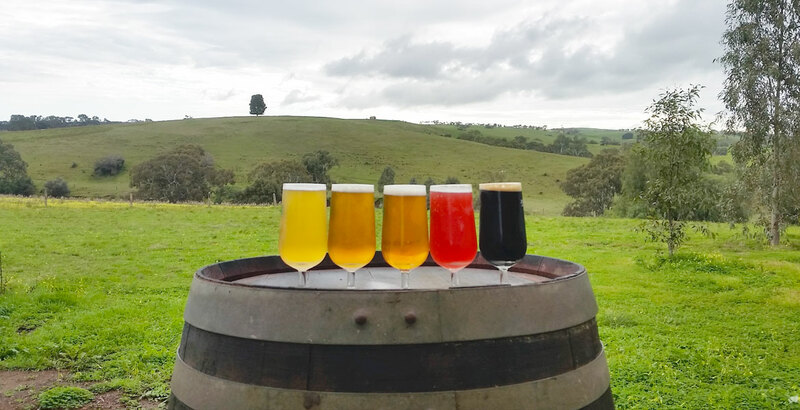 Ministry Of Beer, despite the grandiose title (with a rather less grandiose genesis), is found in a backyard shed on his hobby farm in Rosedale, South Australia. There, he grows some of the hops used in the beers, has developed a range of sour beers and has also established a small barrel program. 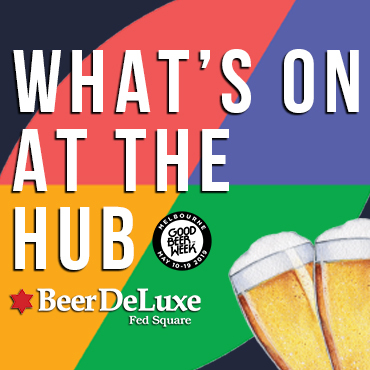 Most of Ministry’s beers are experimental at this point, with a fair few varieties gracing taps at a number of SA watering holes, ranging from a raspberry Berliner Weisse through a Rye IPA to a milk stout and a 12 month oak aged golden sour. Brett plans to continue making small batch experimental beer with oak barrels, fruit, herbs and various bacteria in addition to the farm grown hops. 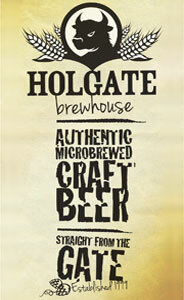 Here he is to tell us a little more about his brewery and his beers in our latest Who Brews...? Brett Reimann, Brewer, Chief Taster & Barrel Watcher. Rosedale, Barossa Valley SA at our small brewery on our hobby farm. I’ve been a keen homebrewer for 17 years and it got to the point where I enjoyed brewing so much that my homebrewing equipment outgrew my thirst so I thought I’d have a go at selling some. We also have our Experimental Pale Series which is an ever changing pale ale utilising different combinations of various hops, malts and yeast. I think sampling various unique beers whilst travelling around Europe inspired me to start thinking about different styles of beer that weren’t readily available in Australia at that time. I don’t think there has been one specific beer or one memorable moment that has stuck with me… there have been many beers and many moments that have encouraged me to pursue this path. An experimental sour and an experimental IPA. A Berliner Weisse – low in alcohol so I can drink it all day and perfect for the hot weather. A lonely busker on a street corner – with an oboe and a set of finger symbols! Would love to have a range of our barrel aged sour beers constantly available, so hoping to see the brewery expand in that direction. We are very passionate about brewing sour beers – and about drinking them! With expansion into bottling our beer not too far away, for now all our beers are available in kegs and often featured at Stein's Taphouse, Prince Albert Hotel, The Kings Head, Nola and The Franklin Hotel. People can also like us on Facebook to see where our beers are currently stocked. Thanks, Brett. If the barrel aged and sour beer program gets to where you hope it well, can we suggest the sub-brand Ministry of Brett? You can read past Who Brews...? features here.